Windows overlooking Devon Street and Liardet Street with access from the stairs adjacent to Annette's Collection. The first floor adjoining tenant is the Real Estate company Multi List and a Travel Agency Broker. The premises currently comprise of five offices, open plan reception area, kitchen, toilet and shower. 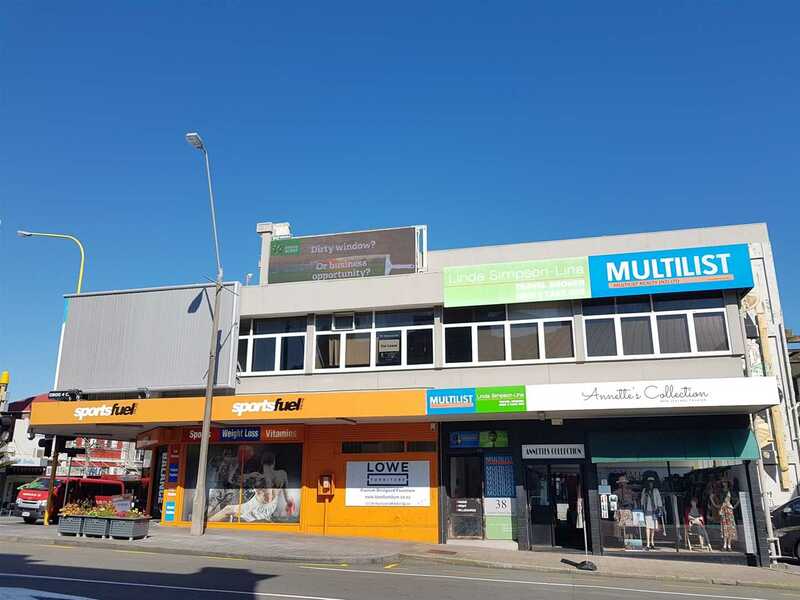 Signage options are available on the façade of this building, alongside the triola billboard situated on the verandahs corner. The landlord is now ready to undertake renovations to meet the new tenants office requirements.